A pedestrian walks past the dome of the Pennsylvania Capitol on the morning of Democratic Gov. Tom Wolf's scheduled budget address for the 2019-20 fiscal year in Harrisburg, Pa., Tuesday, Feb. 5, 2019. 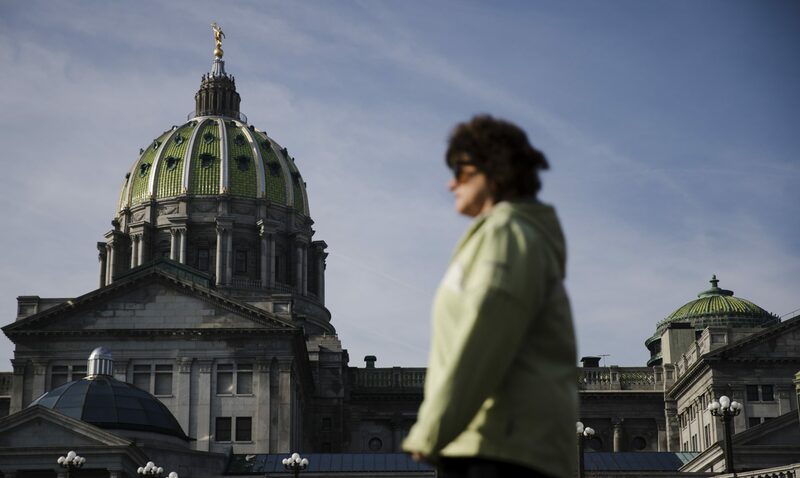 (Harrisburg) — The day after Governor Tom Wolf pitched lawmakers on raising the minimum wage as part of the state budget, the House started hearings on the issue. Republicans say they’re keeping an open mind–but their initial reactions indicate the hike may be a pipe dream. 29 other states have minimum wages above the $7.25 federal minimum–including those that border Pennsylvania.